Screencheat is a multiplayer shooter split screen, but from a chaotic view and offers a new point of view of the multiplayer games. Sand in Screencheat is frantic, chaotic and the reaction times ofour character will not be enough to keep us alive. Screencheat pays tribute to competitive first person shooters like Goldeneye, Perfect Dark and Halo, and manages to blend elements of each of these titles but giving it a different touch. It's very entertaining and fun, and when we find the secrets of our enemies it can be highly addictive. It's original and make us spend hours in front of our computer screens. 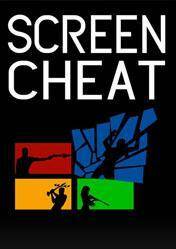 There are no comments yet about Screencheat . You can be the first one!